These photos are the ration books from my grand-parents Daisy and Ted Thompson. 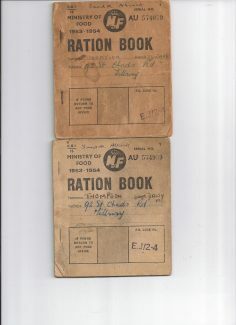 The ration books were for 1954/55. 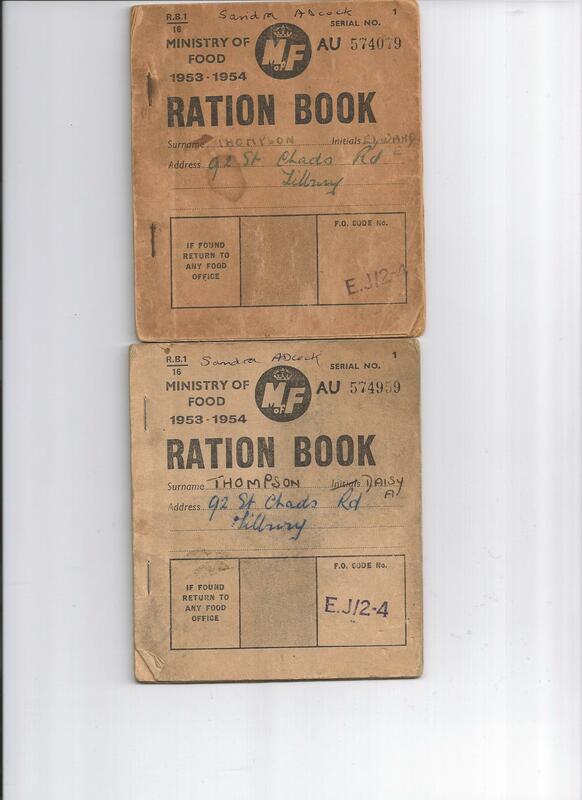 Surely these were some of the last of the ration books because rationing was coming to an end. Do your readers remember the Food Office in the grounds of the fire station ( a big nissan hut). I well remember queuing at Tom George’s shop in St. Chads Road when the message in the town was ” George’s are doing oranges on the green book”, the green book was a child’s book. In those days after the war it was often necessary to queue for food. I recall; going to Mynetts sweet shop because you could get pear drops and winter mixture without coupons. Happy days ,I think not but no fat children around perhaps we should return to those times of austerity.